If you are looking at picking up a Nintendo Swich for the purpose of installing a boot loader so you can play with the NVIDIA Tegra inside you might want to look for a used model. Nintendo have patched the ROM on new devices to block USB recovery mode overflow errors and coldboot exploits such as Fusée Gelée, preventing you from unapproved entertainment. Ars Technica offers details on the software versions which will prevent loading your own code, as well as the theory that the new Mariko Tegra may be preventing this at a hardware level in the newest devices. "These boot-ROM iPatches are relatively simple for Nintendo to implement in the factory when the system is manufactured, but they are impossible to load onto the tens of millions of Switch units that had already been sold before the exploit was made public." The Nintendo Switch seems to be rather popular around these parts but it would seem that not all is wonderful in the land of Zelda. There have been a slew of reports that the Joy-Cons which Nintendo shipped initially have wireless connectivity issues which interfered with users abilities to use them. Some enterprising minds cracked the controller open and added a wire to enhance the range and reliability of the Joy-Con's connection. Ars Technica reports that Nintendo is now offering a fix to customers who are experiencing this issue, they will pay for the shipping back and forth to the repair depot and at least in one case the turnaround was five days. The fix is a piece of metal-coated conductive foam which should allow you to enjoy your new toy; Nintendo have modified the new models they are shipping to ensure new customers do not run into this problem. "Opening up the fixed controller showed that Nintendo didn't have to do much to correct the connection issue. The only apparent difference is a small piece of black foam sitting on top of the corner of the controller board that houses the Bluetooth antenna trace." While mouse and keyboard is awesome for many games, a few benefit from the layout of a gamepad (or the way it’s used). There was a drought in these for a few years, particularly around the ~2007 time-frame, but this console generation provides us PC gamers with quite a few competent options. When they launched, both the PS4 and the Xbox One allowed their controllers to be used on the PC, and both eventually provided wireless adapters to make it function. Microsoft did it for Windows 10, and Sony did it for PlayStation Now. Even Valve got their Steam Controller out there, which is definitely an alternate alternative, like it or hate it. Personally, I’ve never tried. While Nintendo hasn’t really ever supported the PC market, apart from, like, Mario is Missing, their Bluetooth-based controllers also never really tried to block PCs from using them. Apparently, the Nintendo Switch is no exception, and its Pro Controller seemingly just connects with the old gamepad API. This isn’t supported, so it’s probably best to not go out and buy it for the PC, but feel free to try it if you already have a Switch and Pro Controller (and a Bluetooth adapter for your PC). Here at PC Perspective, videos of Ryan and Ken dismantling consoles on their launch date were some of our most popular... ever. While we didn’t do one for the Nintendo Switch, GamersNexus did, and I’m guessing that a segment of our audience would be interested in seeing what the device looks like when dismantled. As he encounters many chips, he mentions what, if anything, is special about them based on their part numbers. 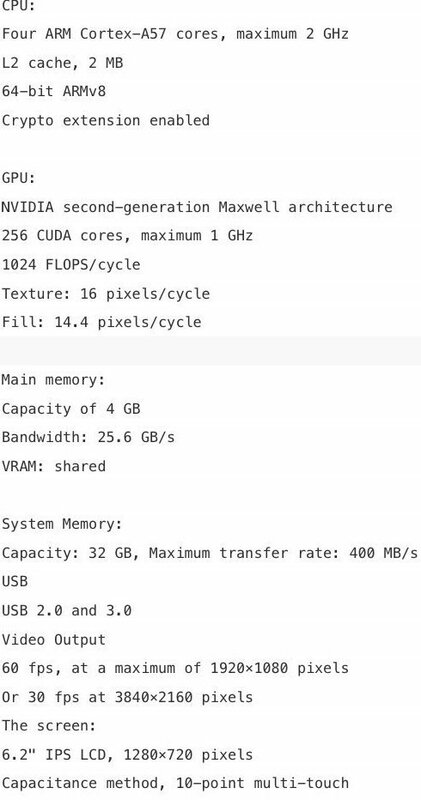 For instance, the NVIDIA SoC is listed as A2, which is apparently different from previous Maxwell-based Tegra X1 SoCs, but it’s unclear how. From my perspective, I can think of three possibilities: NVIDIA made some customizations (albeit still on the Maxwell architecture) for Nintendo, NVIDIA had two revisions for their own purposes and Nintendo bought the A2, or the A2 shipped with NVIDIA's Maxwell-based Shield and my Google-fu is terrible. Regardless, if you’re interested, it should be an interesting twenty-or-so minutes. Since our last Nintendo Switch post, the company had their full reveal event, which confirmed the two most critical values: it will launch on March 3rd for $299.99 USD ($399.99 CDN). This is basically what the rumors have pointed to for a little while, and it makes sense. That was last week, but this week gave rise to a lot more information, mostly from either an interview with Nintendo of America’s President and COO, Reggie Fils-Aimé, or from footage that was recorded and analyzed by third parties, like Digital Foundry. From the GameSpot interview, above, Reggie was asked about the launch bundle, and why it didn’t include any game, like 1 - 2 - Switch. His response was blunt and honest: they wanted to hit $299 USD and the game found itself below the cut-off point. While I can respect that, I cannot see enough people bothering with the title at full price for it to have been green-lit in the first place. If Nintendo wasn’t interested in just eating the cost of that game’s development to affect public (and developer) perceptions, although they might end up taking the loss if the game doesn’t sell anyway, then at least it wasn’t factored into the system. Speaking of price, we are also seeing what the accessories sell at. From the controller side of things, the more conventional one, the Nintendo Switch Pro Controller, has an MSRP of $69.99 USD. If you look at its competitors, the DualShock 4 for the PlayStation 4 at $49 and the Xbox Wireless Controller for the Xbox One at the same price, this is notably higher. While it has a bunch of interesting features, like “HD rumble”, motion sensing, and some support for amiibos, its competitors are similar, but $20 cheaper. The Switch-specific controllers, called “Joy-Con”, are $10 more expensive than the Pro Controller, at $79.99 USD for the pair, or just $49.99 USD for the left or right halves. (Some multiplayer titles only require a half, so Nintendo doesn’t force you to buy the whole pair at the expense of extra SKUs, which is also probably helpful if you lose one.) This seems high, and could be a significant problem going forward. As for its availability? Nintendo has disclosed that they are pushing 2 million units into the channel, so they are not expecting shortages like the NES Classic had. They do state that demand is up-in-the-air a bit, though. Read on to find out about their online component and new performance info! Once again, one of CryZENx’s videos found its way into my YouTube recommendations list. This one outlines progress on their recreation of various Legend of Zelda: Ocarina of Time elements in Unreal Engine 4. While the graphics have been updated significantly, such as using inverse-kinematics for foot positioning, they have also remade the original pause menu, which wraps around the camera like a box (with no top or bottom). If anyone is wondering, inverse-kinematics is an animation tool that focuses on goals, as opposed to individual rotations. Instead of bending a knee by X degrees and bending the hip by Y degrees, you say that the foot of the skeleton must be at some point, and the skeleton adjusts to make that happen. This is obviously much easier for animators to visualize in many situations, especially when trying to align to objects that you know will be in range of the skeleton, but not exactly where. I’m not exactly sure how Nintendo hasn’t struck their Patreon and YouTube pages yet, given their reaction to other fan materials. I’m glad it’s up, though. They’re quite impressive homages to the games they love. The newly released Nintendo NES Classic shipped with 30 classic old games baked into its retrotacular ROMs. It has now been hacked to be able to play any old game ROM you happen to be able to get your hands on, though of course you will have to make space as the storage capacity of this console is quite limited. There are several caveats to this of course, ROMs are called read only for a reason and rooting around in them can lead to unintended and possibly permanent consequences. There is also the source of your ROM to be considered, they tend to come from sources which could be considered slightly less than legitimate. If you are still interested take a peek over at The Inquirer. "It was Russian retro gaming community GBX and a modder called Madmonkey that cracked the rebooted console, and it was Reddit users that seized on the opportunity, to give the hack a go." A few weeks ago, The Ben Heck Show tore down and repaired a Virtual Boy, with plans on making it smaller and head-mounted in a future episode. While I am a couple weeks late on sharing the second video, Ben Heck and Karen Corbeill have completed their mod, and the device is now attached to a face shield mount. They call the new device “Virtual Man”, which of course they did. One of the best parts about The Ben Heck Show (and other DIY video worklogs) is the tricks that you’ll see. In this case, Ben Heck explains how a typical scanner can be used to get fairly accurate 2D measurements of devices, because the image is formatted in inches. (He still verifies with a caliper, though, especially since they can have slight distortion on one axis.) This could be quite useful, especially if I end up doing more animations like my Cherry MX switches.